“Today, I am delighted to announce that JioPhone will be available to all Indians for an effective price of – Rs 0,” said Mukesh Ambani amid thunderous applause from the shareholders. 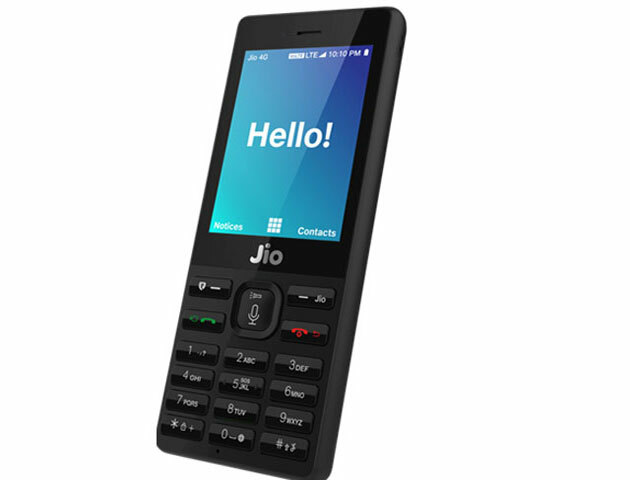 “A JioPhone user can use the JioPhone for 36 months, and can get a full refund of the security deposit of Rs 1,500 by returning the used JioPhone. Net-net, you pay nothing for the JioPhone,” he added. The phone was launched at the 40th AGM meet of RIL. Mukesh Ambani used the occasion to introduce his twin children, Akash and Isha, who presented the phone features that include calls and text messaging on voice command, Internet surfing and cable to connect the device to TV to view content, including videos. “It is made in India by the young Indian,” Esha Ambani told announcing the launch of the phone. JioPhone will be available for beta testing this 15th August, while pre booking will start from 24th August; physically it will available from September this year. Jio termed it as “India ka smartphone”. At the AGM meet, Mukesh Ambani said that voice calling will always be free for JioPhone customers. Out of the 78 crore phones in India, Ambani said, 50 crore are feature phones that cannot be used for Internet or data usage. The new phone would give “affordable” device to these 50 crore users and “end the digital exclusion in India”. He said that the phone will be made in India from the last quarter of this year. “JioPhone to be most intelligent, affordable phone in the world — a 4G LTE phone supporting all 24 Indian languages,” he added. The phone also comes with NFC (Near Field Communication) support and as per Jio, users in future could use it to store their credit/debit card details to make payments, something like Samsung Pay. The Jio feature phone users can avail the Jio Dhan Dhana Dhan offer at just Rs 153 per month. Under this they will get free voice and SMS as well as unlimited data. Jio, Mukesh Ambani said, already has 125 million users since its launch in September last year. Jio has also announced two recharge packs – one costing Rs 54 that offers a week’s validity while another comes with validity of two days and is priced at Rs 24. 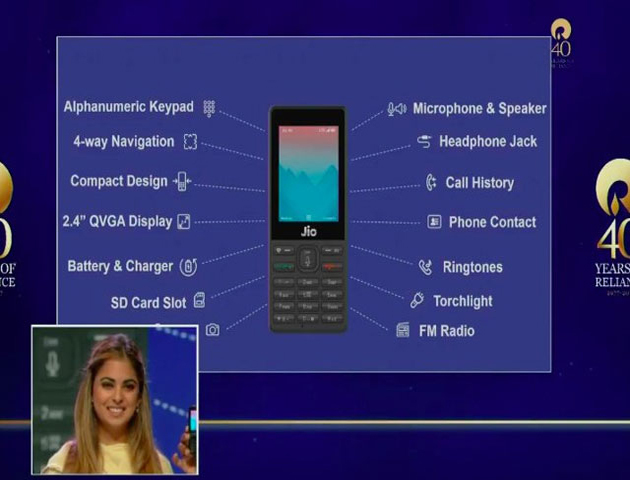 Meanwhile, the company has launched a device called Jio phone Cable TV that connects JioPhone with any TV, not just a smart TV, so that all JioPhone users can enjoy viewing on the big screen of their existing television sets. To expand its footprint, Jio has decided to create 10,000 Jio offices across India which will act as sales channel partners. The telco will also create over ten lakh physical retail outlets to sell Jio services. Besides Jio services will be offered through e-commerce platforms, Ambani added. This entry was posted in News and tagged jio, Jio apps, jio mobile, jio phone, Reliance Jio 4G feature phone.